As I wandered out a half empty portacabin tucked away in a corner of the Pleasance Courtyard, I was left wondering why I hadn’t heard more about Clown Busting at this year’s Fringe. 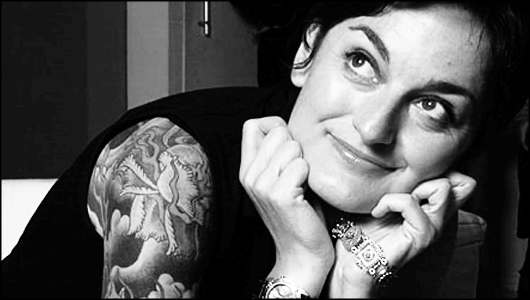 Bearing in mind Zoe Lyons’ impressive CV, her favour with reviewers and that far inferior acts in much larger venues are selling plenty more tickets than her, it’s a shame – as she’s brought up to Edinburgh a hugely entertaining show. Considering her impending 40th birthday, Lyons mulls over her young potential, where it got her and attempting to lowering her expectations of life. But despite its seemingly gloomy arc, this show is a joy. It’s a loose theme, but Lyons does return to it as linking material for stories like the time she hitch-hiked from Glasgow to Glastonbury as a naïve 16 yr old, the perils of packing whilst stoned and the kooky nature of Kate Bush fan clubs. Telling stories is where Lyons is at her best, wringing every possible laugh out of the circumstances through some expert delivery and accomplished physicality to her act. However the variety and consistently high quality of comedy is also impressive. Lyons has managed to pack Clown Busting with a whole manner of different styles – she can be scathing and charming in equal measure – including anecdotal ditties, current affairs comment, quality observational gags and even the odd surreal tangent. A skit about the problems of Monet and Manet living to close to each other was also a great gag that exemplified the good writing on offer throughout the show. Managing to find just the right balance with her call-backs in the second half this show – something so many comedians have come unstuck with this year – Lyons struck gold with funny material, structured well and delivered with energetic panache. There’s not much of her run left this year, but hopefully she returns to Edinburgh in 2012. Be there – we will. Date of live review: Thursday 25th August 2011.